The levels of smog and air pollution in India have become so severe that crop yields are taking a hit. 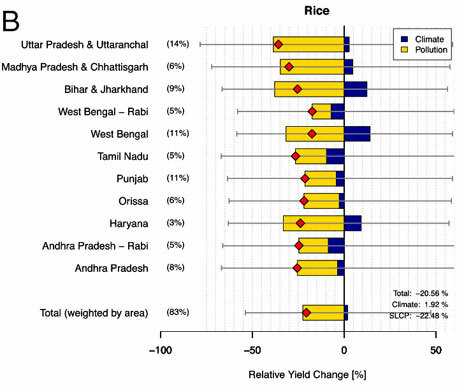 Scientists recently analysed yields for wheat and rice alongside pollution data, and concluded that the crop yields have significantly reduced. They have attributed the decrease in yield to two air pollutants—black carbon and tropospheric (ground level) ozone. This is of concern for Indian farmers who are struggling to save their crops from recurrent floods and droughts, triggered by climate change. While climate change is caused by long-lived greenhouses gases, black carbon and tropospheric ozone are short-lived climate pollutants that exist locally in the atmosphere for weeks to months. Black carbon, mostly caused by rural cookstoves, affects the plants by reducing the amount of sunlight they receive. Ozone, which forms as a result of motor vehicle exhaust, industrial emissions, and chemical solvents reacting in the atmosphere in the presence of sunlight, is toxic to plants. 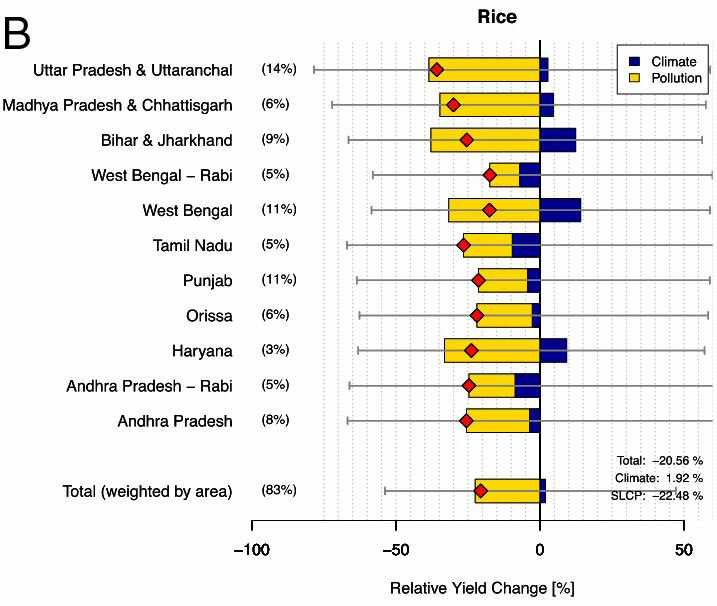 Scientists from the School of International Relations and the Pacific Studies and Scripps Institution of Oceanography of University of California in San Diego, combined the effects of climate change and direct effects of short-lived climate pollutants on wheat and rice yields in India from 1980 to 2010. 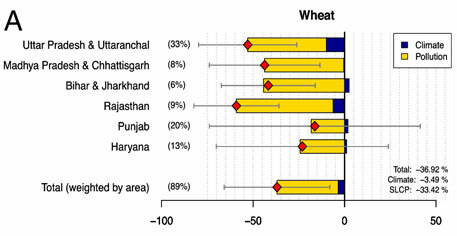 Their statistical model suggests that the average yields of wheat in 2010 were up to 36 per cent lower than they otherwise would have been, while rice production decreased by up to 20 per cent, notes the study, published in the latest issue of journal PNAS . 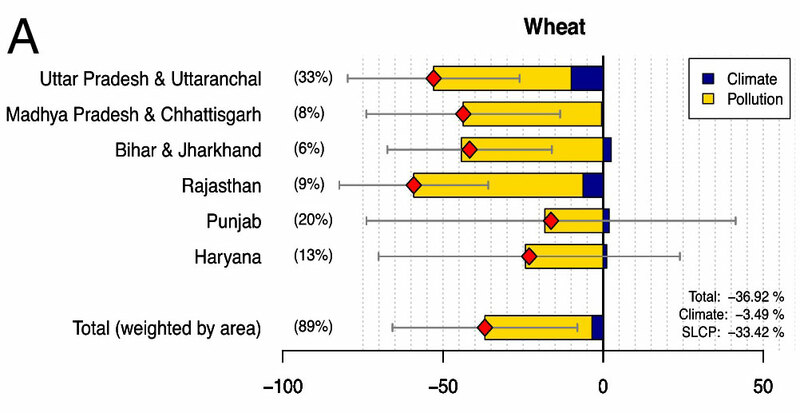 Some densely populated states experienced 50 per cent loss of wheat yield. 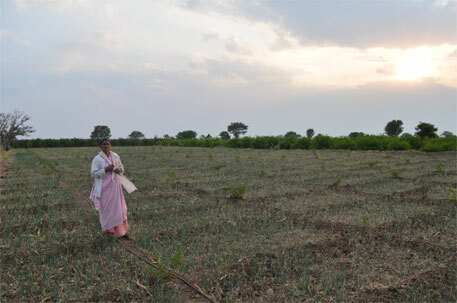 India’s breadbasket, the Indo-Gangetic Plains, for instance, is subject to a dramatic annual buildup of these (and other) pollutants before the monsoon each year. The most intensively farmed areas in the region area also areas with high average aerosol optical depth and large surface ozone concentrations, say the scientists. The scientists point out that because black carbon and ozone are short-lived pollutants, they present a clear opportunity for counter expected future yield losses resulting from climate change.